Swedes have succeeded in satisfying the demands of the global middle class for modern cultural products, from furniture and fashion to easy-listening music, like the pop group Abba, pictured here in 1977. 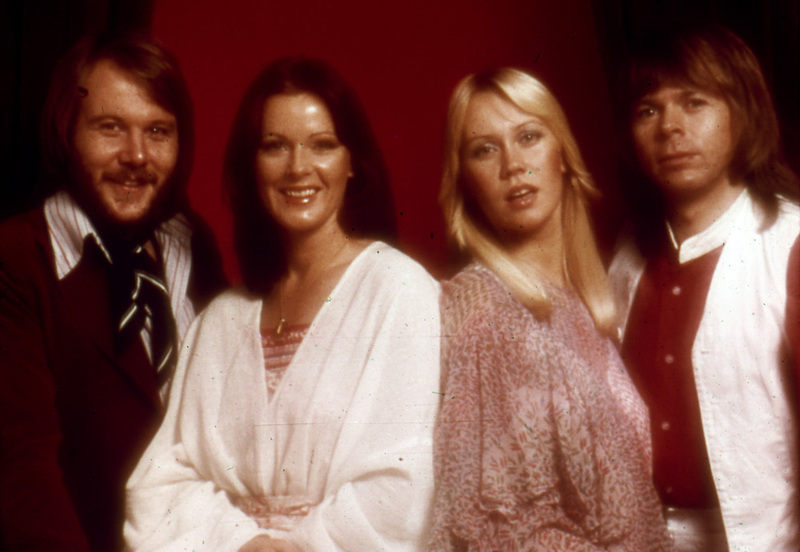 They are, from left to right: Benny Anderson, Annifrid (known as Frida) Lyngstad, Agnetha (known as Anna) Faltskog, and Bjorn Ulvaeus. Photo by Associated Press. Childs’ book not only shaped the way people viewed Sweden but also fit Swedes’ understanding of our own culture as inherently modest. There is a Swedish word, lagom, which can be translated as “sufficiently or moderately.” It is said to have it roots in premodern times when the family had to drink or eat from the same bowl. You were expected to drink or eat just enough for all family members to get an equal share. By understanding the word lagom, you can decode Swedish culture. Swedes simply do not like extravagance—we like to be lagom. This is obvious when you look at Swedish design and fashion. If you like to blend in, be in fashion, and not stand out at the same time, buy your clothes at H&M, the Swedish retailer of “popularly priced” chic clothing. Ikea, which once ran a campaign called “Live Lagom,” is built on the idea; the company provides style, but not too much style. It’s trendy but not too trendy. This may be why Swedes have been so successful in satisfying the demands of the global middle class for modern cultural products, from furniture and fashion to easy-listening music, like Abba and Roxette. Our secret is not that we understand what sells in various cultural environments. It is because we have a long tradition of a consensus culture that has made us experts in understanding the desire of the global middle class to appear modern and strive toward conformity. Because this Swedish vision of ourselves is so powerful, recent years have been especially jarring. As the world grapples with change and turmoil, we Swedes have been confronted with more evidence that our country and culture are far from lagom. We look, instead, very extreme, at least compared to our friends around the globe. Maybe we have been extremists all along. 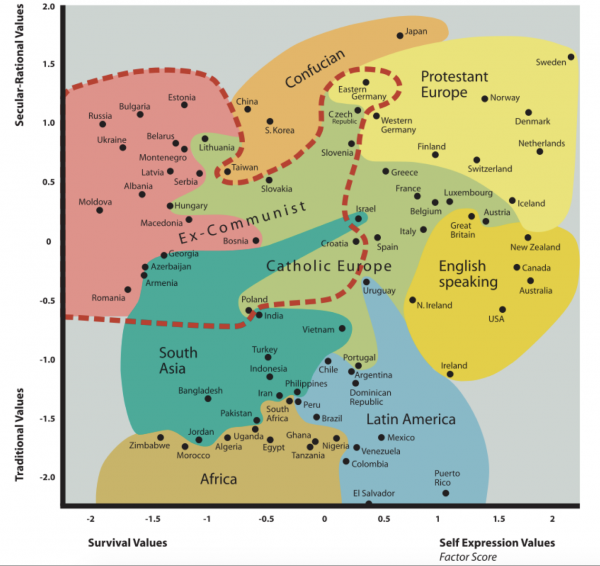 A few years ago, we got evidence of the error of our self-conception when the political scientists Ronald Inglehart and Christian Welzel of the University of Michigan constructed a culture map of the world based on the results of the World Values Survey. It turned out that Swedes had the most extraordinary values of all counties measured. We scored the highest points on secular-rational values and on self-expression values. In sum, we were revealed as super-liberal, and totally uninterested in traditional and religious values. This shouldn’t have been news, but it was. It had been a long time since Sweden sought the middle way in politics. Our recent history is entirely different—we have repeatedly applied the most extreme and radical solutions to many political issues. For many years, Sweden had the most developed welfare state in the world. Almost all sectors of society were regulated by the state and there were hardly any private alternatives in the health or school sector. The rights of working people were expanded to include 25 days’ paid vacation and a generous social security system. Yes, this happened in many other European countries, but we pushed it a few steps further. In 1980, the main trade union persuaded the Social Democratic Party to introduce a regulation that obliged all private companies to redirect a share of their profits to specific funds controlled by the workers. The political opposition considered the reform a step towards nationalization of the private companies, as ownership of profitable companies would be gradually shifted from shareholders to the workers. But in the early 1990s, the political winds started to blow in another direction and suddenly Sweden started to liberalize and deregulate the welfare sector. In 1991, the forced sharing of profits with workers was abolished in total. But Sweden didn’t find its way to lagom, or moderation, by establishing an equilibrium among these competing public and private interests. Instead, it began tilting toward new extremes. Within a few years, the education sector and parts of the welfare system were opened up for private companies; today there are no regulations whatsoever on the amounts of profit that private companies can make from publicly-financed schools. Today Sweden has the most market-friendly schooling system in the modern world. The only country that comes close is Chile. This tendency to swing from one radical position to another within the span of a few years is very common in Sweden, even though we don’t always realize it. Immigration policy was tightly regulated by the trade unions until the mid-1970s. From that time on, the government changed its immigration policy and, one step at a time, Sweden turned into the most immigrant-friendly country in Europe. In the years between 1984 and 2015 Sweden received approximately 1.3 million immigrants, which in comparison to the population is a higher proportion than what United States received in the early 20th century. But at the end of 2015 this policy suddenly changed and the government imposed an extremely restrictive immigration policy. At present, practically all Sweden’s political parties support tightening or even closing our borders. These are just a few of the many recent examples of rapid and radical political turnaround in Sweden. Such extreme shifts from one policy to the other are criticized and not always popular, but severe conflicts or protests are rare. Surveys show that a majority of Swedes were against the generous immigration policy pursued by the government, and Swedes have never liked the idea of private companies making profit out of a the publically-financed schooling system. But Swedes have never shown any strong opposition to these dramatic policy reversals. It had been a long time since Sweden sought the middle way in politics. Our recent history is entirely different—we have repeatedly applied the most extreme and radical solutions to many political issues. It might seem that our self-conception of being a middle-way place and our record of extremist shifts are at war with each other. But the truth is that these two Swedish tendencies reinforce, and explain, each other. Our sense of ourselves as lagom makes it much easier to make dramatic change here, as opposed to societies that are more contentious. In other words, our extremism is made possible by our culture of consensus. Since we find ways to agree, it’s easier to move policies or whole sectors quickly, even abruptly. You might call this the paradox of consensus culture. We individually like to be modest, and, as a result, when we act collectively, we tend to take the most radical stance. Certainly, a consensus society has many virtues. Democracy can function smoothly when we all are ready to compromise and come to a new common understanding. Traditionally, Sweden has had very few conflicts in our labor markets. We have hardly ever experienced any serious political crisis. Political parties normally get along and opt for compromise rather than conflict. However, democracy can also be valued for the diversity of opinions, and in this, democracy in Sweden has been rather weak. But these characteristics of Sweden may not last forever. Indeed, we are seeing two major changes at once. First, the globalized world has awakened us to the reality that we are not a middle-way country, but rather a quite exceptional place. Second, we are no longer a homogeneous culture, but a multi-ethnic society in a globalized world. And it’s no longer clear that the consensus culture, and the extremes it produces, can survive. Income gaps here have grown and social cohesion in society is much weaker today that when Marquis Childs visited and wrote his book. Volvo is no longer making cars affordable for a teacher. Instead, it is successfully selling its vehicles to a conscious global upper middle class. In recent years the political debate in Sweden has become more polarized. Following the last election, we experienced the first serious political crisis in years. As a result of the electoral triumph of the anti-immigration party, the Sweden Democrats, there was no longer a political majority in the parliament able to form a government, and thus make the big shifts in policy to which we’ve become accustomed. It’s not clear if this is for the better or for the worse. But it does appear that Sweden is turning in the direction of something approaching normalcy. We are becoming a little more like you. And a little less lagom and a little less extreme. Daniel Lindvall, who has a Ph.D. in sociology, has led the government’s Committee of Inquiry on Democracy. This essay is part of a Zócalo Inquiry, Was Sweden Ever a Model Society? consensus, government, policy, politics, public policy, Sweden, Was Sweden Ever a Model Society?